Clearview Mobile Screens has been serving the greater Orange County, Los Angeles and Inland Empire area since 1999 with premium products and a focus on complete customer satisfaction. We understand that great service is hard to come by these days. This is why we were founded on the principles of superior customer service. We truly believe that it is worth going out of our way to satisfy customers and to get the job right the first time. We look forward to helping you! No matter what your screen needs are, we will be able to help you! 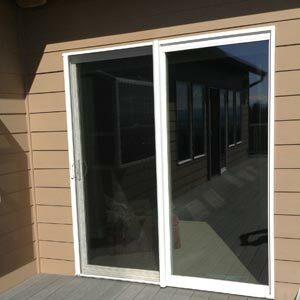 We specialize in custom made window and screen doors, made completely from scratch by our highly qualified employees. We can also assist you with steel security doors, swinging screen doors, security screen doors, retractable screen doors, pet doors, and even sliding screen doors. We also have a large variety of insect screen products. If there is a screen to fit your need, we will find it for you! We use high quality Clearview and Bettervue fabrics in order to obtain that clear, transparent look customers are always in search of. If you need ideas on different types of screens to fit your needs, our website lists different screen styles so that you can begin the planning process. You can browse our lists of options and find colors and styles that fit your needs. If you need any assistance in making the best decision for your home, call us at any time to speak to a representative. We would be happy to assist you. We service both personal and commercial properties and would be happy to help you no matter what the size of the project is! We offer reasonable prices for our projects and guarantee satisfaction from all customers. Our phone lines are open for 24 hours every day and seven days every week for your convenience. Give us a call to schedule an appointment today!